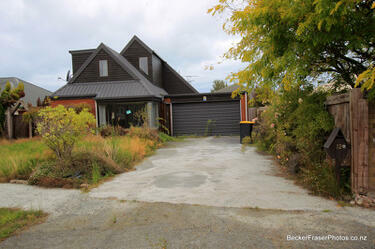 Photograph captioned by BeckerFraserPhotos, "96 Harbour Road, a red zoned property in Brooklands. Many of the homeowners in this area believe that their homes should not be red zoned as the damage is much less than in other red zoned areas". Photograph captioned by BeckerFraserPhotos, "A sign on the fence of a red zoned property in Lower Styx Road. 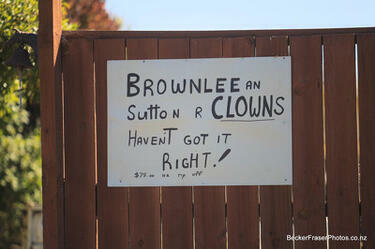 The sign reads, 'Browlee an (sic) Sutton R Clowns. Haven't got it right! $75 He rip off'. Many of the homeowners in this area believe that their homes should not be red zoned as the damage is much less than in other red zoned areas". 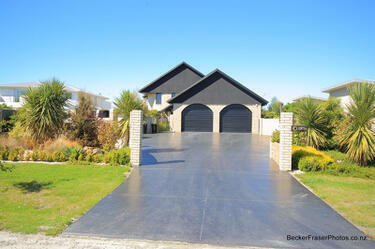 Photograph captioned by BeckerFraserPhotos, "16 Blue Lagoon Drive, a red zoned property in Brooklands. Many of the homeowners in this area believe that their homes should not be red zoned as the damage is much less than in other red zoned areas". 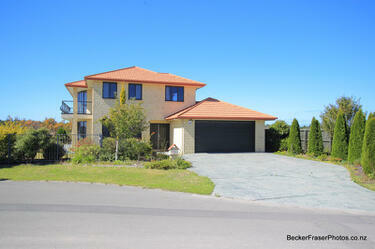 Photograph captioned by BeckerFraserPhotos, "8 Blue Lagoon Drive, a red zoned property in Brooklands. Many of the homeowners in this area believe that their homes should not be red zoned as the damage is much less than in other red zoned areas". 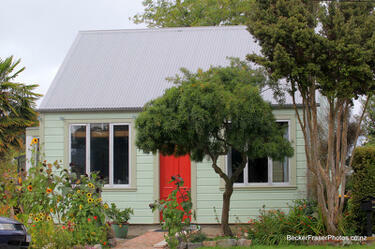 Photograph captioned by BeckerFraserPhotos, "398 Oxford Terrace. 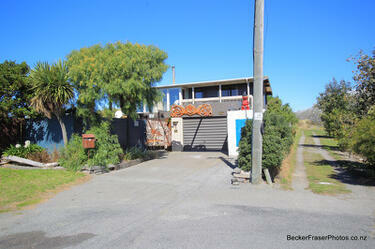 This area has just been rezoned as red zone land". 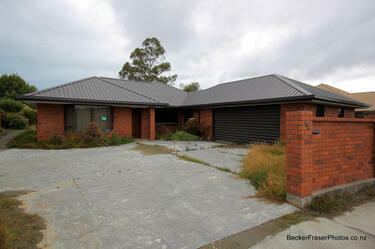 Photograph captioned by BeckerFraserPhotos, "394 Oxford Terrace. 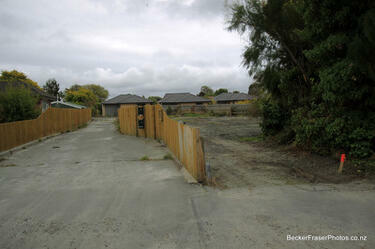 This area has just been rezoned as red zone land". 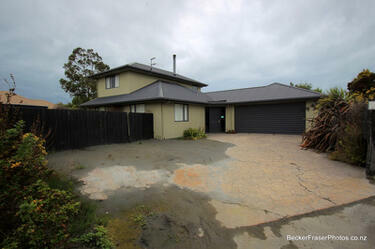 Photograph captioned by BeckerFraserPhotos, "193A (rear) and 193 (cleared site) New Brighton Road". 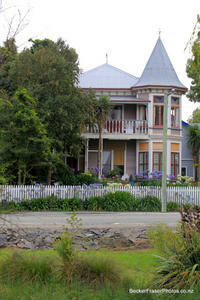 Photograph captioned by BeckerFraserPhotos, "Riverview Lodge at 361 Cambridge Terrace, showing damage to the river bank". 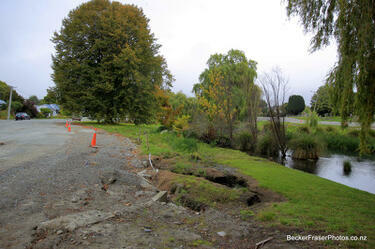 Photograph captioned by BeckerFraserPhotos, "Oxford Terrace in the Avon Loop area showing the lateral spread on the river banks". 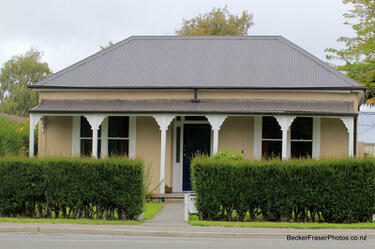 Photograph captioned by BeckerFraserPhotos, "376 - 386 Oxford Terrace. 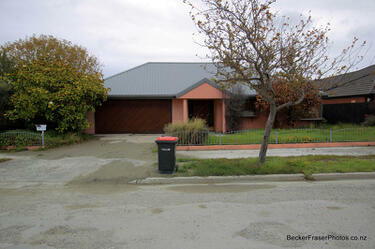 This area has just been rezoned as red zone land". 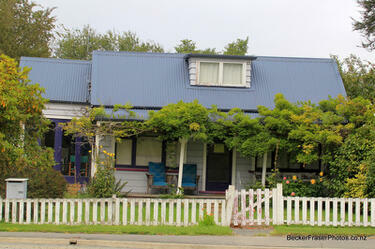 Photograph captioned by BeckerFraserPhotos, "392 Oxford Terrace. This area has just been rezoned as red zone land. 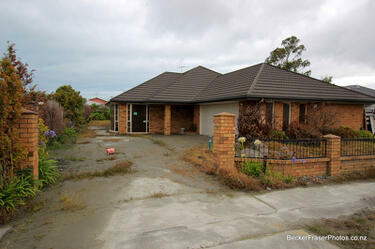 The owners of this house have suggested the land should be purple zoned, (where homeowners can choose whether to stay or leave) as their house is new and undamaged". 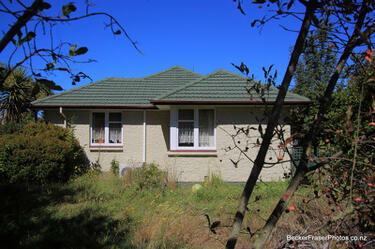 Photograph captioned by BeckerFraserPhotos, "386 Oxford Terrace. 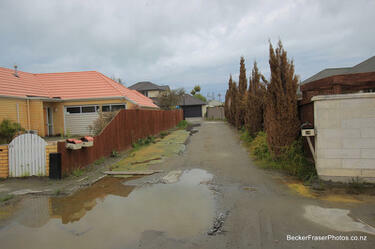 This area has just been rezoned as red zone land". 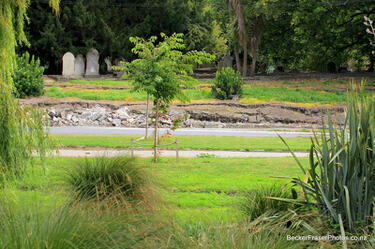 Photograph captioned by BeckerFraserPhotos, "Barbadoes Street cemetery showing fissures in the bank".